• Forged Hyper Speed Face Cup will generate ball speed on center and off-center shots. • Move the adjustable weights for the ball flight you want to play. When you want to lower spin put the heavier weight forward, and when the heavier weight is back you’ll have more forgiveness with higher launch. 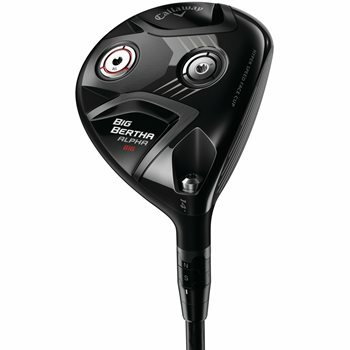 • A slightly larger head provides more MOI than you would expect out of a good player’s fairway wood. The sole design provides control from a variety of lies. • Matte black finish provides an uncluttered look at address. • 8-way OptiFit adjustable hosel allows golfers to add loft, take loft off or adjust the lie angle.